Comments: I'll second the perfection comment. It is 5 star material. Orla's blending of the old & new is amazing and truly unique. The appearance of the fabulous Tommy Fleming adds to my complete enjoyment of the album & show. Comments: If there is such a thing as perfection, then Orla Fallon has done it with her release of "My Land" - an outstanding collection of traditional and contemporary Celtic music that is not to missed. Orla's heavenly voice paints a picture of the vivid Irish landscape, filled with all of the beauty and character of the land that so many people wish to visit. She opens with a magnificent arrangement of "Mo Ghile Mear", sung completely in Gaelic and then follows through with the sweeping and moving "Distant Shore." 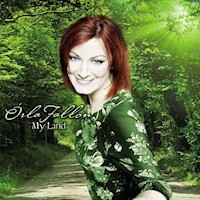 Want to write a review about Orla Fallon's My Land album? Post your comments in this box to be displayed in our community forums and in our album database! Please make sure you are logged in before proceeding. Please login to write your comments about My Land.